At MacGuffin Theatre and Film Company, we grow actors! We give young people a place to experience the entire acting process of theater and film, performing in original and adapted works that speak to the challenges that face our students and community. Our inclusive education and producing company creates a supportive, dynamic space for students as they discover their identity, gain self-confidence, and become advocates for the arts. History of MacGuffin Theatre and Film Co.
A “MacGuffin” is a term that film director Alfred Hitchcock used to describe the secret plans or jewels the spies were after. The MacGuffin is ultimately unimportant. Its purpose is to inspire the chase. It brings the characters together in conflict and drama. The quest for the MacGuffin is perhaps all of our individual and societal journeys, for it’s not the end that is important, but rather how we get there. Since 1998 MacGuffin has grown young actors between 4 and 18. With over 100 theater productions, 10 films, 1 documentary, and dozens of summer camps under our belts we have taught, encouraged, and inspired over 5,000 young people from many ethnic groups and economic levels. Our alumni have gone on to study acting in many of the leading acting schools in America, including Temple University, Emerson College, New York University, Columbia University, Syracuse University, and Northwestern University. 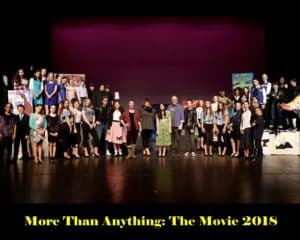 Several of our students act in regional theaters (Wilma Theatre, Walnut Street Theatre, Philadelphia Theatre Company, InterAct Theatre Company), on Broadway (The Humans, Beauty and the Beast, Speech and Debate, Scarcity) and in Hollywood films (Spanglish, The To Do List, Margaret, The Good Student, Please Give, The Village) and commercials. Of course many do it for the love of acting and the social bonding that comes with our productions. Our instructors are some of the best actors in the Philadelphia area and their leadership has created a family-like atmosphere where students can feel free to take chances and develop a strong sense of self.